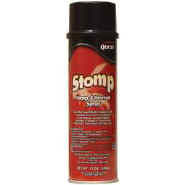 Knock out wasp and hornet's nests easily with Stomp Spray. Sprays 15 to 20 feet indoors or outdoors - wherever nests are found. Stomp is EPA-registered, high dielectric and non-chlorinated.